Our people are our greatest asset – we say it often and with good reason. It is only with the determination and dedication of our people that we can serve our clients well. in the wealth management industry. of women of all ages and all walks of life. Our training and experience provides us with the means to work efficiently and the expertise to provide quality results. We know transitions can be emotional and difficult. We encourage discussion, and welcome any questions that arise. Our conversations are based on how you best communicate, and of course, all communication is held in the strictest of confidence. 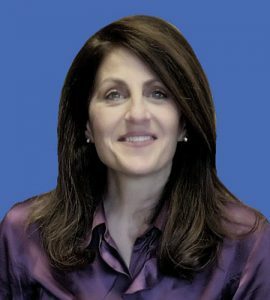 Carol M. Khouri, Principal, CFP®, CDFA™, CeFT® began her career in finance in 1986 working for a multi-billion-dollar mutual fund company located in Boston. To broaden her horizon, she left the mutual fund industry and joined a national broker/dealer where she obtained her series 7 and 63 licenses. As her career advanced, she completed her Certified Financial Planner (CFP®) designation in October of 1998. Carol joined Wingate Wealth Advisors LLC in January of 2002 where she obtained her series 65 licence and later became a principal of the firm. After experiencing her divorce, Carol became a Certified Divorce Financial Analyst (CDFA™) in 2004. More recently, in 2016 she completed her Certified Financial Transitionist (CeFT®) training. Carol has been featured in the Boston Business Journal, Reuters and Women’s E-News. She was a quarterly columnist for the Colonial Times, and more recently she has published a book: A Road Map for Life’s Detours where she focuses on women's life-changing events. With more than 25 years of industry experience, Carol delivers comprehensive consultation, planning, and implementation services. She specializes in divorce, widowhood, estate planning, retirement preparation, and financial advising. Her goal is to help women manage life events with strength and confidence. Her passion is to help women get their lives back, to restore clarity, energy and optimism. She guides her clients from "what was" to "what is" to "what will be". Living west of Boston, Carol takes an interest in local town affairs. She has served several years as an officer on the board of directors for The Divorce Center in Newton, MA. 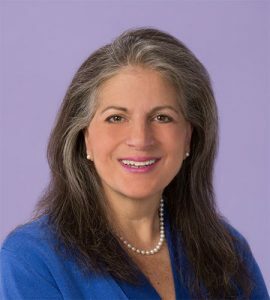 She is a member of The Divorce Center, The Massachusetts chapter of the Financial Planning Association and former member to the Boston Estate Planning Council. In her free time, she enjoys gardening, visiting local farmers markets and swimming. Susan Hanna CMA, CMPE®, CeFT® is a managing partner of Women's Financial Help (WHF), Susan drives the client services aspect of the firm. She enjoys helping clients collect necessary information to facilitate their goal setting. She introduces clients to the WFH money management program and offers one-on-one training in budgeting, planning and record keeping. Her focus on securing and improving the lives of women is fortified by her work experience in the medical field as well as the finance sector. Susan's commitment to customer satisfaction is bolstered by her natural inclination to serve as a client advocate. While co-founding Women's Financial Help, Susan worked as a Client Relationship Manager at Wingate Wealth Advisors where she obtained her Certified Financial Transitionist (CeFT®) designation. Her earlier work experience included Corporate Economist for over 10 years, holding positions at Unisys Inc., and McGraw Hill Inc. She also worked as a cost benefit analyst at the U.S. Department of Transportation. Susan's interest in helping people led her to work in the field of medicine for over fifteen years. She held the position of Practice Administrator achieving her Certified Medical Practice Executive (CMPE®) designation. She was licenced in nursing (LNA) and also was certified as a medical assistant (CMA). Susan completed her graduate studies in Economics at Florida Atlantic University. Susan is passionate about helping animals, contributing to many humane non-profit efforts in her spare time. She also has an impressive volunteer background having served on 16 organizations/boards focusing on issues related to hospice, childhood education, developmental disabilities, equine therapy for the disabled, medical care communication, community opinion, land-use, and senior services. Contact our staff to learn more about our financial advising solutions. Talk to us about charting your future. Our office is located in Lexington, MA. We serve woman in the greater Boston area and nationwide with current clients living in Florida, South Carolina, North Carolina, Arizona, New York, Rhode Island, Connecticut, Vermont, Maine, and New Hampshire.